The indie horror film 'THE DOOMS CHAPEL HORROR' is set for a wide release. This title, from director John William Holt and writer Jason Turner, will be available on DVD and through Video-on-demand formats this week. This feature focuses on the character Kyle Cole, his return to a small town and a strange group - with nefarious plans. As well, the film stars Bill Oberst Jr. ('ZOMBIEWORLD'), Joshua Mark Robinson, Shaun Gerardo and Wendy Kneeling. The film will be available on a number of platforms. 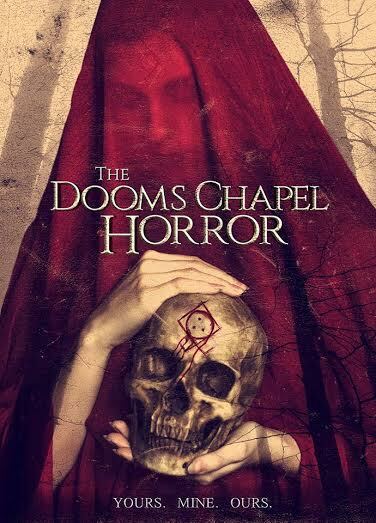 On cable, 'THE DOOMS CHAPEL HORROR' will be showing on DirectTV, the Dish Network and Charter. Through Video-on-demand, this title will be on Netflix, Vimeo-on-demand, iTunes and Amazon Video. Also, this horror title will be available on DVD at: Best Buy, Walmart, Target and Barnes & Noble. Being distributed by Brain Damage Films, a sub-division of Midnight Releasing, this title will be available across North America, beginning this June 14th! Kyle Cole returns to home for the first time in nearly 10 years with the hopes of healing the emotional wounds caused by a family tragedy. What he finds is that his family and the town are not ready for the same. However, a mysterious man, Jordan, has been waiting for him with an evil plan.